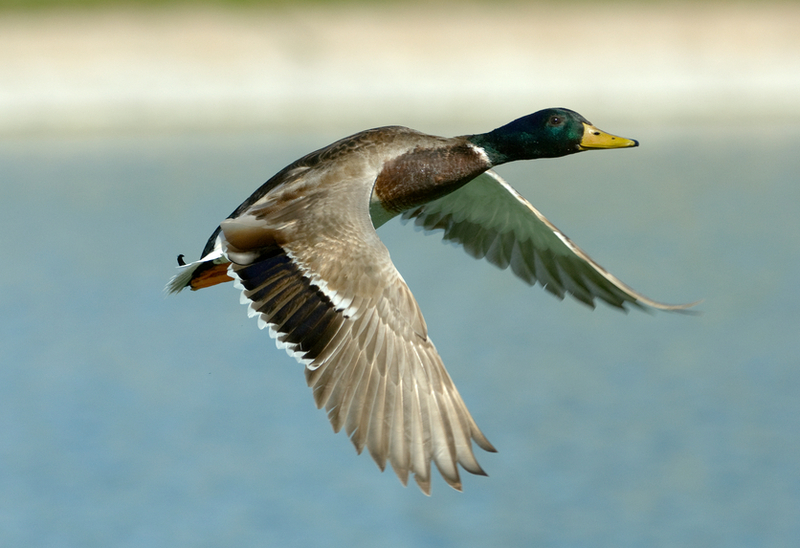 Delta Waterfowl's annual survey found that usual wetlands for ducks are abnormally dry, causing the organization to believe fall flight will be decreased. BISMARCK, NORTH DAKOTA — Anticipation for duck season is building. Will we see a strong fall flight of ducks winging south? Delta Waterfowl has analyzed and interpreted wetland conditions reports from the organization’s field researchers and the U.S. Fish and Wildlife Service pilots who conducted the annual survey of breeding ducks and habitat. Throughout many areas of the critical breeding habitat, spring pond conditions can be summarized by one word: dry. The Waterfowl Breeding Population and Habitat Survey, a joint effort of the U.S. Fish and Wildlife Service and Canadian Wildlife Service since 1955, has traditionally been released in late June or early July. However, the USFWS has changed its process for setting season frameworks. The 2016-2017 seasons were set earlier this spring, using data from the 2015 survey. The results of the 2016 survey — which will affect frameworks for the 2017-2018 season — are scheduled for publication in early August. The initial driver of duck production is available wetland habitat. After a below-average winter snowpack and dry, mild spring, Delta expects the annual breeding survey’s May pond count to fall below the long-term average for the first time since 2008, when the count was 4.43 million. According to observations by Delta biologists, and by USFWS pilots (which can be found online at flyways.us), dry conditions were most severe across the vital prairie grasslands of the Dakotas and southern edges of Alberta, Saskatchewan and Manitoba. Conditions improved to average across much of Canada’s parkland habitat farther north. “While the parklands fared better with water this spring, we know after decades of research that nest success there is chronically low, so duck production is often weak,” Rohwer said. Low pond counts can also decrease breeding population estimates, as species including mallards and pintails will overfly the dry prairies and settle farther north in the boreal forest and lightly surveyed areas. Fortunately, the record breeding population estimate in 2015 and moderate duck production last year should help minimize the declines. Upland-nesting ducks such as mallards, pintails, gadwalls and blue-winged teal will be most affected by the dry prairie conditions. Key diving duck species, might fare better given their reliance on the more permanent and semi-permanent wetlands of Canada’s parkland habitat. The bulk of scaup (bluebills) breed primarily north of the prairies, so they are not as dramatically affected by dry conditions in the prairie pothole region. Despite evidence this year’s fall flight won’t match those of recent seasons, duck populations remain strong compared to long-term averages. This is indeed a fine era to be a waterfowler.